New Delhi: One of the premier hubs of education in Bahadurgarh, (Delhi-NCR), PDM University has collaborated with multinational technology company, IBM Corporation through its IBM Career Education program to introduce and launch co-branded specialized engineering and management programs. The joint initiative is aimed to make students from the university employment ready when they graduate. A Memorandum of Understanding (MoU) has been signed between IBM and PDM University, in this regard with a aim to build skills in the area of cloud computing and big data analytics and develop sufficient industry needed skills for manpower on cloud computing, big data and analytics. 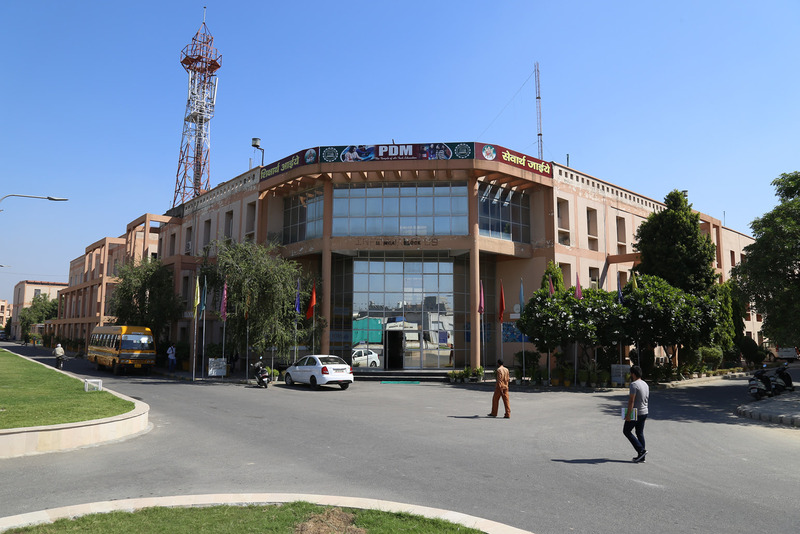 The Chief Executive Officer of PDM University, Mr. Chitresh Lather, while emphasizing the benefits ofthis collaboration with IBM for the engineering aspirants, said that, “Specialized courses under the IBM Career Education program have been launched at PDM University, such as B.Tech in Computer Science & Engineering with specialization in Big Data Analytics, B.Tech in Computer Science & Engineering with specialization in Cloud Computing and Bachelor of Business Administration (BBA) in Analytics to develop required industry needed skills in the students”. Further elaborating, he said, that “The aim is to develop industry needed skills for manpower on Analytics & Cloud Computing. An innovative curriculum has been developed for the programs jointly and will be delivered by IBM designated subject matter experts and university faculty”. The curriculum caters to the various skill requirements of organizations across the world including Banks, Computer Services, Education, Healthcare, Insurance, Manufacturing, Retail and other industries, while, IBM designated experts will be available at the university to conduct classes, face to face, to ensure that the knowledge and skills are imparted effectively. The key features include online resource management through learning management system (LMS), a IBM Software Lab for emerging Technologies which has been setup at the campus and will provide relevant IBM software and curriculum content for courses. The programs bring together the current software content, real-world industry experiences, hands on lab courses and case studies for the participants. Giving details about the activities to be undertaken,Mr. Lather said that IBM will conduct various faculty development programs to enhance the capabilities at PDM University. The university faculty will be able to use the IBM software in the lab for their non-commercial research interests. A joint committee will be setup between PDM University and IBM that will continuously recommend on course curriculum, content, delivery etc. The Committee will monitor and review the activities under these Programs and recommend decisions with respect to any aspect regarding programs. While each program participant will receive the printed course material from IBM, they will have access to various IBM online forums for additional study material and resources to interact with experts & participate in discussions. The participants will receive professional certification from IBM at the completion of the course while experts from IBM will provide real world challenges for project experience and also mentor the students through the various phases of these projects. For live industry experience, Mr. Lather said that students may have the opportunity to visit IBM centers from time-to-time,courseware – books and material for each student will be provided, they will be able to pursue advanced degrees in engineering, business or other professional fields and improve the prospects for a global career with the best companies.